also known as Sheldon Anthony Bostic popularly known as “DJ Champion Bostic,” was born in San Fernando, Trinidad & Tobago (T&T). Boom can recall being in deep love with music as long as he can remember. His mother, Lorna Bostic stated thatBoom Bostic started dancing to music before he could even walk. At the age of thirteen (13) years old, Boom Bostic started trekking down the path of entertainment and promotions. At the age of thirteen (13), Boom Bostic was DJing at many small events while attending school. As he developed on his talent as a young DJ, he became acquainted with Studio 99, which was a very prestigious DJ group in the Caribbean; from that group he formerly learned the proper skills of being a DJ and an Entertainer. Boom Bostic spent three years with Studio 99 and later established his own DJ group called System Live at age sixteen (16). Boom Bostic collaborated with one of his good friends; Richard “Richie” Roberts; to further enhance System Live. System Live became a sensation within Trinidad & Tobago. 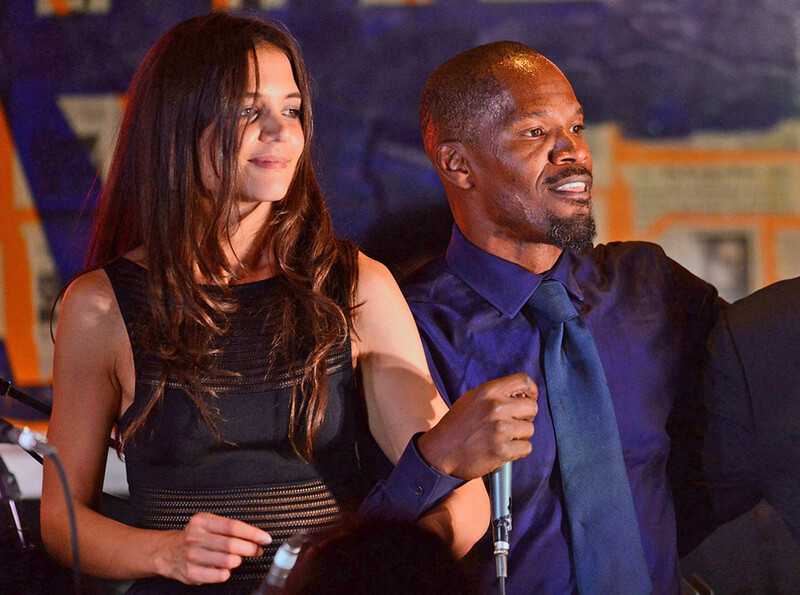 Richie & Boom Bostic of System Live became the first DJ group to be awarded with a DJ Spinning and MC on the Mic. in T & T. System Live was and still maintains its reputation as one of the best DJ groups to originate out of T & T. While system live was still active and become more and more popular with the frame of T&T, Boom Bostic developed his own promotion company called “The Virgin Boys Promotions.” He did many voiceovers for various commercials, both for businesses and parties in T&T. He served as Team Leader for many prominent events. Some of which include; The Chutney Soca Monarch, Tristar, Stag Brewing company, Angostora Bitters. Some of the biggest Reggae Shows that featured famous artists such as Sizzla, Yami Bolo, Capleton, Terri Ganzie, Beanie Man, Bounty Killer, Sean Paul, just to name a few. Boom Bostic managed the production and behind the scenes setup for many stage shows and parties. In the very late 1990s Boom Bostic and Richie separated when Richie decided to seek new adventures and later migrated to New York. Sheldon Continued for a while solo, then decided to work for the Norwegian Cruise Lines, where he was recognized as one of the best DJs on staff. Boom Bostic later moved to Chicago in 1998, where he quickly made a name for himself as one the best Caribbean DJs., and has managed to secure many faithful followers. Boom Bostic worked for “Reggae Links Radio” on power 92.3fm for four (4) years. He has worked as Manager, Producer, and Host for the program for one (1) year. The program generated many listeners from diverse cultural backgrounds. He currently owns and operates his own promotion company; “Boom’s Promotions, Inc.” Boom Bostic has conducted many interviews with both international and Caribbean Superstars, for example, Twister, Shaggy, Machel Montano, Beanie Man, Sean Paul, Kerry Hilson, Lady Saw, Sizzla, etc. He has continued to do voiceovers for various commercials for Caribbean Businesses, American Local Businesses, and various party events (including corporate parties). Boom Bostic has not limited himself to playing mere Caribbean music, but he plays; House, Rap, R&B, alternatives, etc. according to Boom Bostic; “ being born in Trinidad allowed me to grow up loving all types of music. DJ Boom Bostic am a very diverse DJ, as he plays all sorts of music, which has allowed him to extend his wings in any party no matter the cultural background of the individuals that he is playing for. Boom is always current on every type of music!” Boom Bostic has continued to do music mixes alongside with video mixes. DJ Boom Bostic Based on his skills as a DJ he has gotten the opportunity to judge few DJ selector competitions. He has co- host one the Caribbean’s biggest annual summer events in Chicago- “The Annual Festival of Life at Washington Park.” He has also been nominated as Chicago’s best DJ for two years in a row (2010 & 2011), by the Chicago Music Awards Committee (CMA). Boom Bostic has also won many awards for his turn-table skills, some of which are; “Teenstar Lifetime Achievement Award” in 2007, “Best Road Music award” for the Chicago Carifete in 2007 ( two (2) years first place, two (2) years second place, and one (1) year third place. ), among many other recognitions in Chicago and the Caribbean. He has worked for five (5) years for” Carey Smolensky Promotions.” Boom has played at many clubs across the Chicago Land area. The DJ has many other awards and recognitions, therefore in a “nutshell “Boom Bostic has been a very well accomplished DJ and has endeavored to work hard to promote and therefore place the Caribbean on a very high pedestal. 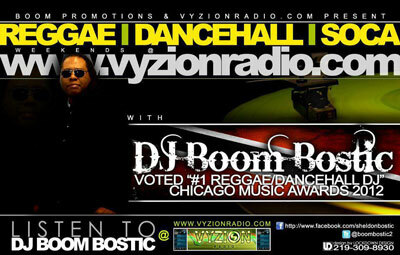 Vyzion Internet Radio is proud to have DJ Boom Bostic as a part of the Vyzion Elite DJ team. 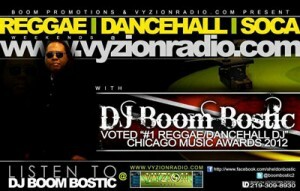 With DJ Boom Bostic Vyzion is sure to excite the Chicago area with a great Internet Radio format like never seen before. 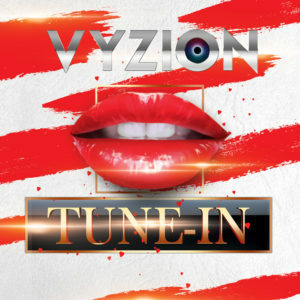 The Vyzion Elite DJ’s are comprised of the Worlds best DJ’s working as one unit. 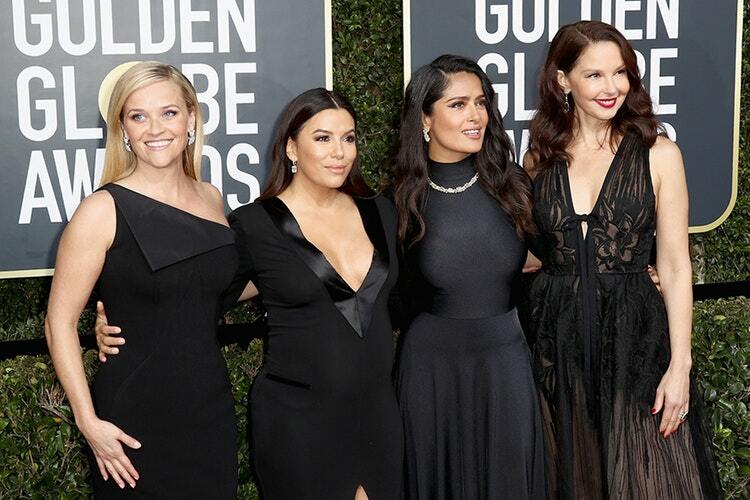 Each one has his or her on unique style that sets them apart from any other DJ. 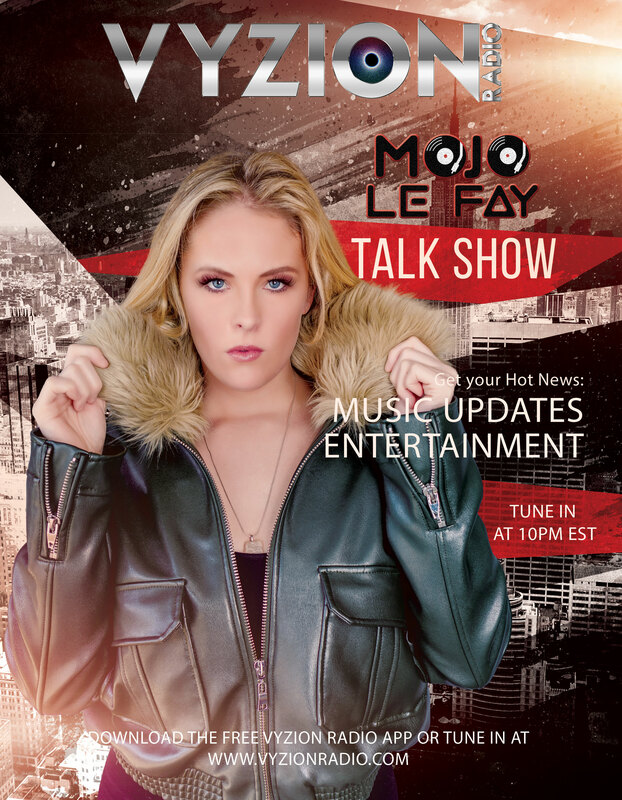 The Vyzion Elite DJ’s have united to transform Internet Radio by giving listeners the ultimate experience in internet radio listening.